Navigating the online space to market your business is like the Wild West. There are no hard and fast rules, and everyone is figuring out. If your business caters to the LGBT community, you need the Pink Banana. You also need our 15 social media dos and don’ts that you can download here. Matt Skallerud is the President of Pink Banana Media, a company that helps businesses target the LGBT community online and grow with social media. Matt began his career in online marketing in 1995 with GayWired.com, one of the top LGBT websites worldwide. Today he is focused on the most cutting-edge innovations in programmatic ad buying, social networking, and Web 2.0 technologies. 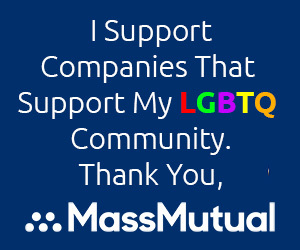 Matt is passionate about helping businesses large and small reach the LGBT consumer. Today Matt shares his 20-plus years of experience in the LGBT online marketing space, discussing the evolution of the online ad space, Pink Banana’s decision to niche down to the LGBT community, and why Twitter is the best social platform for learning social marketing. Learn to engage with others online (rather than just speaking to them) and find the right social platform for your industry, and let’s grow the network of successful LGBT entrepreneurs and influencers! See why we need more LGBTQ bloggers here and how to create your own queer blog here. Get our 15 social media tricks for your LGBT business treat here!